Stockton’s Wing embark on a series of shows in 2019 presenting a retrospective of their vast music catalogue spanning 4 decades from the early recordings of Take a Chance to the innovative and critically acclaimed Light in the Western Sky, the excitement of a big band sound on Full flight and Stockton’s Wing Live and the truly engaging and stunning return to basics on The Crooked Rose. During their career they recorded and performed with Ronnie Drew, The Dubliners, Sammy Davis Junior, Maura O Connell, Val Doonican, Sharon Shannon, Moxie, Sean McGuire, Finbar Furey and The Clancy Brothers, played at both Michael Jackson thriller shows in Ireland and appeared in Oscar nominated movie The Field featuring John Hurt and Richard Harris. Retrospective tells their story through music songs and stories. An engaging and insightful night of entertainment bringing you into the heart of the wing. With special guests and regulars, Tara Breen, Karol Lynch, Tommy Hayes, Paul Roche, Mike Hanrahan and Paul McSherry a very special night is of Wing music is guaranteed. 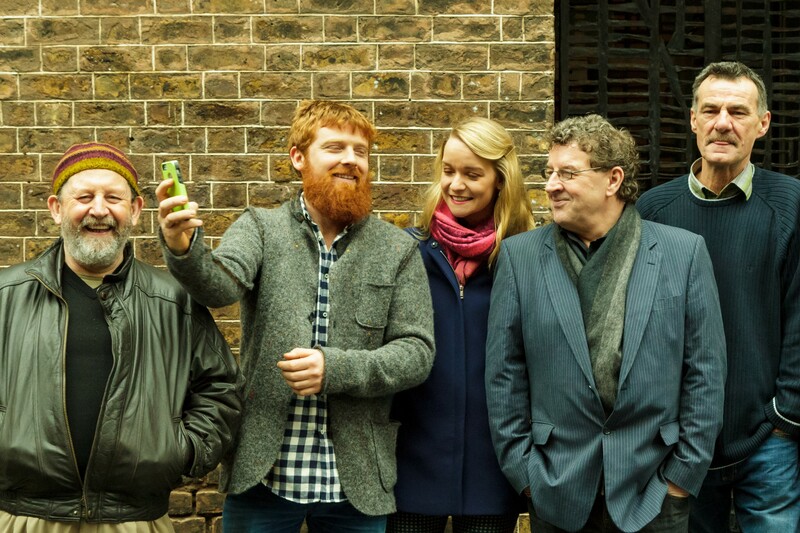 They signed their first record deal with Tara after winning the Trad section of a music contest in Limerick. Another young band won the Rock section. They were called U2. Record producer and musicologist PJ Curtis produced Take a Chance and the groundbreaking album Light in The Western Sky featuring hit singles Walk Away and the iconic Beautiful Affair. Drummer Fran Breen and Bass guitarist Steve Cooney augmented the line up as they toured extensively throughout Europe, America, Canada and Australia. Down through all the years many of Ireland’s greatest musicians from the fields of Traditional, Rock and pop music have graced the ‘Wing’ stage with their presence and incredible talents. Founding members Kieran Hanrahan, Maurice Lennon and Tony Callinan along with Peter Keenan, Steve Cooney, Fran Breen, Davey McNevin, Anto Drennan, Myles Drennan, Dessie Donnelly, Cillian Doheny from Moxie, John Joe Kelly, Eamon McEllholm, Brian Callinan, Robbie Casserly, bass guitarists John Kearns, John Walsh and Eddie Lee, all contributed to the success and unique sound that is Stockton’s Wing. Retrospective takes you on a journey through the catalogue of great music and songs with special guests on keyboards and drums respectfully. It will also feature founding members Paul Roche, Tommy Hayes and Mike Hanrahan along with the two young stalwarts Karol Lynch and Tara Breen. 1980 Take A chance featuring Mike Hanrahan and Maura O Connell duet. 1982, “Light in the Western Sky” – a highly polished album which represented a significant shift in their musical direction, focusing more on the band’s creative original material. The album featured two hit singles, written by Mike Hanrahan, “Beautiful Affair” and “Walk Away.” It also featured a haunting composition “The Golden Stud” The album, produced by PJ Curtis, is regarded by many as one of the great innovative recordings in Irish music. Several TV appearances with Val Doonican on BBC. Beautiful Affair enters the British charts. Intensive touting throughout Britain including all major Folk festivals. 1985 a live album “Stockton’s Wing Live-Take One” was recorded in Galway and Dublin. Produced by Bill Whelan and according to it certainly captured that ‘eclectic, electric’ sound the New York Times “they were eclectic, electric, passionate, personal, innovative and powerful.” Tours of America, Canada, Europe and Australia. 1986 “Full Flight” released produced by Andrew Boland featuring hit singles “Why Wait Until Tomorrow”, “Avondale”, “New Clare Revival” and “So many Miles”. 1986 hit single Avondale released in America where the group continued to headline major music festivals. 1988 played at both Michael Jackson Thriller gigs in Cork. 1989 Guest appearance to perform with Sammy Davis Jnr. in Dublin as part of his world tour with Frank Sinatra and Liza Minnelli. 1990 Stockton’s Wing on location in Connemara for the Noel Pearson/Jim Sheridan film production of the John B. Keane play “The Field” which featured Oscar nominee Richard Harris and John Hurt. 1992 The Crooked Rose produced by Bill Whelan shows a return to the acoustic sound. Beautiful Affair voted into the top 75 songs in the history of RTE radio. Voted number 7 in all time Irish songs poll on Today FM vote. 2017 Awarded a Civic reception by The Clare County Council for contribution to Music and Clare throughout the world.